Feeling preppy tennis vibes as of late. 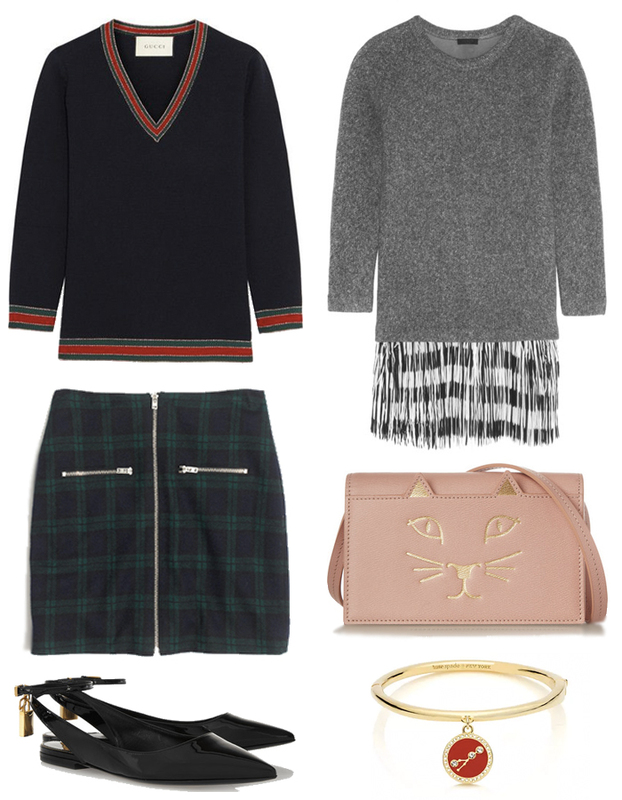 Gucci heritage sweaters, dark plaid, polished flats with an unexpected edge, and so on. And of course, I can never resist a Charlotte Olympia kitty. Sorry I've been slacking with posting these past few weeks, finals and all that, you know the drill. I'll try to post as much as I can though! What's on your December wishlist?